Users say that they’re blocking ads because of the annoyance. But ad blocking has only recently started to catch on, and ad annoyance has been there since the beginning. Distracting blinky ads, slow page load times, security concerns, the whole enchilada. For many users, web ads in the days of dial-up connections and pop-up windows were even more annoying than the web ads of today. The ease of use of ad blocking hasn’t changed either. Free, convenient ad blockers have been available for more than a decade. But WebWasher, AdSubtract and others earned good reviews, then failed to catch on. Today, though, ad blocking is a thing. And that’s not so much because new reasons to block ads are appearing, but because reasons not to block are going away. The blue line is a query for “how to block ads.” Users looking for a solution. 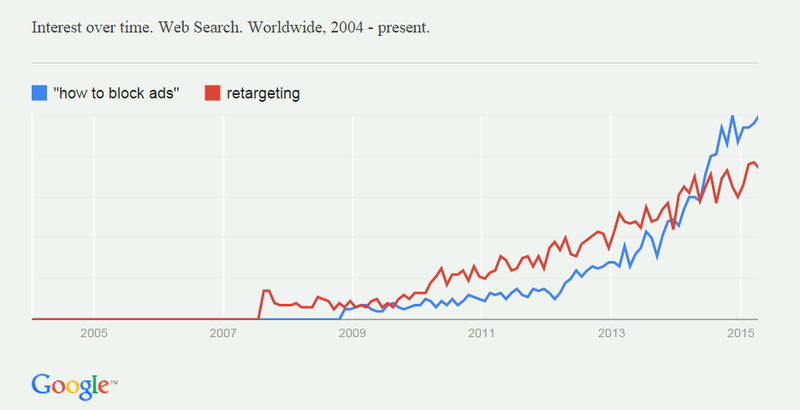 Is better targeting causing blocking, or is it just an accidental correlation? Survey data suggests that users react differently to ads depending on how accurately they are targeted. In one study, 66% of adult Americans said they do not want marketers to tailor advertisements to their interests. And when the researchers explained how adtech can target ads to them, the percentage saying they don’t want targeting went up—as high as 80%. The web pages you visit often leave cookies from third-party websites. These cookies can be used to track where you go on the web, target you with ads, or create a profile of your online activities. Safari was the first browser to block these cookies by default. …if it didn’t resonate with users? If users like being tracked, Safari could easily feature extra tracking, to help users connect and share with brands. 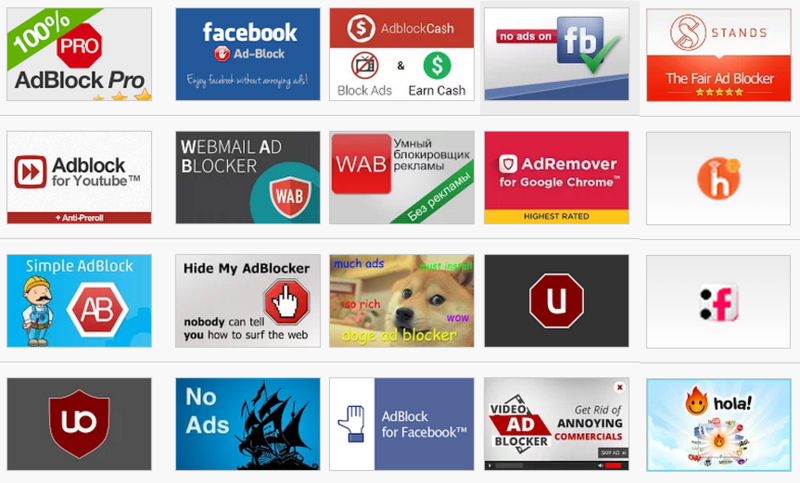 Are ad blocker users irrationally squicked-out by targeting that’s actually good for them? And are users just being dishonest by using web content without accepting the ads? It turns out that ad blocker users are pretty good at applied behavioral economics. If we understand what the basic bargain behind advertising is, we can understand why people put up with advertising in some media but block it in others. That’s one kind of fair exchange. It’s the lead generation bargain. Fill out this form to WATCH OUR FREE WEBINAR! People choose to reveal personal info all the time, every time they enter a sweepstakes or swipe a supermarket loyalty card. But are users passively choosing to share data with unknown third parties? (Quick, name three companies that ran trackers on the last news story you read, and what they do with your data.) Studies suggest otherwise. …but it can’t build a brand that people will be happy to pay a higher price for. That’s where signaling comes in. Clearly lead generation is not the point of high-value old-school ad media such as TV, radio, and print. Nobody gives up any personal data to watch Knight Rider on broadcast TV, or buy a copy of the newspaper out of a vending machine. But that impersonal advertising is where the money is. Print is trending down but still more valuable than either web or mobile on a per user minute basis. The bargain that matters in advertising’s big leagues is the exchange of signal for a user’s attention. An ad can be a public, credible, costly display of the advertiser’s intentions in the market. When an ad fails to send a signal, as is the case when it’s targeted to a user who can’t tell if it’s part of a big campaign or just the digital version of a cold call, the ad doesn’t hold up its end of the signal-for-attention bargain, and the user starts looking for an opportunity to block it. One way to look at the blocking problem is to accuse ad blocker users of violating a reciprocity norm, by entering into an implied lead generation bargain and then failing to hold up their end. 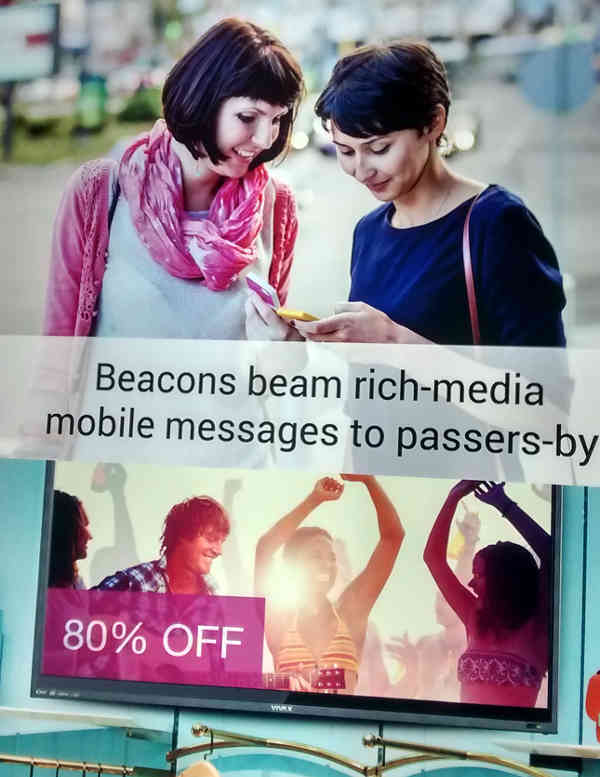 But the other, more valuable deal—the signal-for-attention bargain—is the one that advertisers broke first. How to stick to both bargains? One important direction is to make the lead generation bargain explicit, not sneaky. Instead of using malware-like third-party tracking techniques, make it easier for users to control how they share their info. The other half is of the solution is to restore the signal-for-attention bargain. Some of the most promising new work from web browser developers holds the promise of changing the web advertising game to work more like signal-carrying print and broadcast media. Firefox and Apple Safari have tracking protection functionality in progress, and Microsoft Internet Explorer has had it for a while. Tracking protection can displace ad blockers by filling users’ immediate need to block the low-value targeted ads that follow them, while at the same time leaving the door open for signal-carrying advertising that works better for brands and pays better for publishers. Web publishers today have a choice: get dragged into a no-win game of blocking vs. anti-blocking, or change the conversation and offer users an alternative that works better for everyone. Instead of just lecturing users to turn off your ad blocker, it’s time to encourage them to enable tracking protection, and turn on the signal. Don Marti is a contributor of code and documentation to the aloodo.org project, a low-friction way for sites and brands to reclaim the value of online advertising from fraud and ad blocking. He is the former editor of Linux Journal . Don is the subject of an out-of-date Wikipedia article, which he will not edit himself, but wishes that someone would.